The Malibu Hybrid is a compelling choice. It’s stealthy, smooth, stylish and equipped with a host of high-tech features including Apple CarPlay and Android Auto support. If you’re in the market for a mid-size hybrid sedan, you’ll want to drive the Malibu Hybrid against the Ford Fusion Hybrid, Hyundai Sonata Hybrid, Toyota Camry Hybrid, and Kia Optima Hybrid. This seems greatly improved over the previous Malibu. However, why did the make both the trunk and fuel tank soooo small. 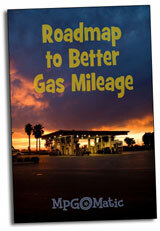 @Westonstarauto – The gas tank is 13 gallons and the combined fuel economy rating is 46 MPG. That’s nearly 600 miles of range. I don’t have a problem with that. =) The cargo capacity is significantly smaller than the non-hybrid 11.6 cubic feet vs 15.8 … this is an issue with most hybrids. The battery pack has to go somewhere and it usually encroaches on the trunk space. I’m averaging currently 44.7mpg @ -20F in Duluth MN in my 2017 Malibu Hybrid mostly Interstate driving. My range is over 700 miles in the summer, on cheap cheap E10. The euro GM exhaust gas capture tech is amazing uphere in the frozen North. Really Amazing tech. I got mine as a CPO w/8 year warranty for 20k all in. A steal. You can get a gen 1 Volt for under 14k now too!! !